Do I really need an autoresponder? Is that the question you have? Maybe it seems like just another thing to spend your money on. It is a valuable tool to invest in for your business. Autoresponders are one of the most important marketing tools that you can have if you are doing business online. In fact, the only thing more important than the autoresponder is your opt-in list! But all autoresponders start out without a list – the list doesn’t exist until your autoresponder mailing list starts filling up with names and email addresses! 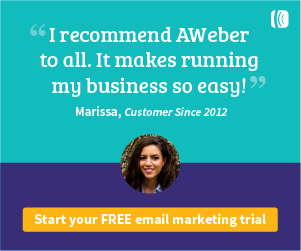 The easiest and fastest way to build up an email list is to give things away for free. Some marketers will tell you that this is a waste of time – and if you already have a list of one hundred thousand people that you can market to, then it probably is. But for those who do not already have a list, this is the way that it gets built! You simply pay for advertisements to promote your I.F.O. (Irresistible Free Offer). Don’t think of this as lost money, think of it as an investment in future earnings. Give away an ezine (newsletter), free reports, free ebooks, free access to private websites, or anything else that you can think of. The objective is to get people to sign up to receive that I.F.O., and to agree to receive email from you in the future! It is a win-win situation for everyone, but you get more than anyone else in the deal. The person gets an Irresistible Free Offer. You get their name and email address, and permission to email them in the future. But if you do it right, you get even more than that. The I.F.O. that you give away should also be used to promote your products or services. Even if it just has affiliate links for products or services that are related to the topic of the I.F.O., it is a way to generate extra revenue. 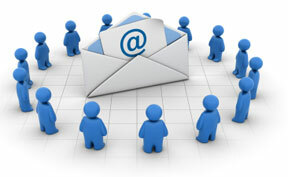 Then, when you send email in the future, you can again promote your products or services. Just be sure to include valuable information in the email as well, or you will have people dropping off of your autoresponder mailing list like flies! Using every opportunity that is presented to you in the world of Internet Marketing is vital to your success. You have the opportunity to earn money in the I.F.O. that you create, you have the opportunity to earn money when you send the ‘thank you’ email after a person has requested your Irresistible Free Offer, and you have the opportunity to earn money every time an autoresponder message is sent out to that list in the future! Don’t waste those opportunities, and put it all in automatic mode with the use of an autoresponder.